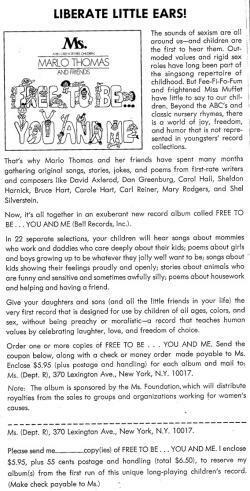 Free To Be You and Me 40th anniversary: How did a kids album by a bunch of feminists change everything? Free to be … who? All the musicians, artists, feminists, and other figures mentioned in this series. Want to listen to Free To Be … You and Me? Here’s a Spotify playlist. The question came from the neighbors’ kid Cam, a fourth grader friendly with my children, as a group of us parents sat in his living room drinking wine one afternoon in June. He was sprawled on the couch, sweaty and red-faced from wrestling with his little brother, and he’d noticed that each of my toes sported a different bright color of nail polish. “I painted them!” my younger daughter exclaimed. I’ve modeled Harper’s salon skills for the past few summers. I like that she takes the task so seriously, choosing colors from a Ziploc bag of polish we keep on a high shelf in the bathroom and applying them carefully to my big, gross toenails. Cam, like every kid I know, has a set of firm beliefs about the clear dividing line between girls and boys. Girls and boys dress differently. They behave differently. They like different things. They manage their toes differently. They are different. Forty years ago this November, an album appeared in stores that wanted to change all that. Free To Be … You and Me aimed to teach kids that boys and girls aren’t different at all: that every child, no matter which gender, can wear whatever, like whatever, behave however it wants. That every child can be free just to be. From the album’s opening sounds—the jaunty strumming of a banjo on the title track—Free To Be posited a world in which every boy “grows to be his own man,” and “every girl grows to be her own woman.” The land of Free To Be was a place where girls could grow up to be mommies and doctors, and they didn’t have to get married if they didn’t want to. It was a place where boys could cry or play with dolls without fear of scorn. It was a place where boys and girls could be friends, no matter what they looked like or acted like—unless the girl was a prissy princess, in which case she would be eaten by a tiger. The brainchild of actress Marlo Thomas, Free To Be … You and Me was also the product of Thomas’ life lived in showbiz. Calling in favors from people she’d known since childhood—her father was the comedian Danny Thomas—and the clout she’d accrued as the star and producer of the hit sitcom That Girl, Thomas assembled a murderer’s row of early 1970s musical and comedy talent. Diana Ross, Harry Belafonte, and the New Seekers sang. Alan Alda, Tom Smothers, Mel Brooks, and Carol Channing performed. Shel Silverstein, Carl Reiner, and Mary Rodgers wrote songs and stories. But all those stars paled in comparison to Thomas herself, who sang and acted on many of the record’s tracks—and assembled its cast of characters, oversaw the album’s tone and direction, and promoted the hell out of it upon its release. Even with all that star power, the project was, at heart, founded on some serious feminist ideology. 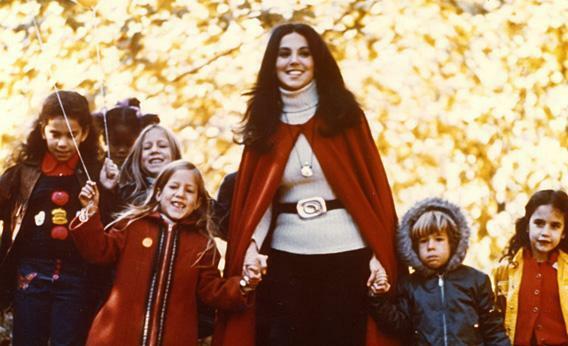 Free To Be was shaped by the philosophies of Thomas’ friend Gloria Steinem and the staff of her new magazine, Ms.—particularly Letty Cottin Pogrebin, who was already using the pages of that groundbreaking publication to advocate for a new style of gender-neutral parenting. Forty years after its 1972 release, Free To Be has sold hundreds of thousands of copies and for a generation of kids—my generation—was a cultural and social touchstone, played not just at home, but at countless schools where its anti-sexist storytelling was eagerly adopted by progressive teachers and administrators. A 1974 book based on the record became a best-seller; its accompanying TV special got better ratings than Gunsmoke and won an Emmy and a Peabody. Courtesy Free To Be Foundation. I was born in 1974. The first records I remember playing on the hi-fi in our family room were the John Denver and the Muppets Christmas album, Jackson Browne’s Running on Empty, and a 45 of “Pac-Man Fever” by Buckner & Garcia. But the first record that I remember being mine was a hand-me-down copy of Free To Be … You and Me. I listened to it so many times that I still know what it sounds like when the needle drops on the beginning of Side 1 and that banjo starts playing. I know that after “It’s All Right To Cry” I have to turn the record over. I can still picture the colorful characters on the album’s cover: the ballerina perched in the crook of the Y, the weird guy with the moustache and bowler hat sticking his head through the O. Courtesy Free To Be Foundation and Ms. In a lot of ways my family today represents the ideals Free To Be was fighting for: My wife and I both work. She earns more than I do. We make a real effort to give our daughters pride in their own small womanhood. Like many children in our affluent suburb, ours have a preternatural self-confidence—they’ve never even considered that they can’t be anything they want to be. They assume they’ll be something so amazing they haven’t even thought of it yet. And yet: My older daughter insists that boys make fun of girls because America’s never had a girl president. Both the 7-year-old and the 5-year-old still face a world in which parents, including their mom and dad, struggle every day to balance work and family and where there remains a significant gender wage gap in many fields. Good grief, the other night I admitted to Gloria Steinem during a phone interview that my younger daughter had just insisted upon going to bed wearing a Disney-brand princess dress. (Steinem was not amused but not unkind.) Meanwhile, the boys in our neighborhood may deem the kid on their hockey team who wraps his stick in hot pink tape “cool.” But they’re also obviously thrown by my painted toes. So has the revolution that Free To Be … You and Me helped herald been won, because our kids are free to be successful and stressed out, just like us? Has it been lost, because a generation of parents tried to get their daughters to play with trucks and their sons to play with dolls—and failed? And could an album like Free To Be ever be made today? Leaving aside the obvious problem that “albums” basically no longer exist, would a bunch of 2012-era celebrities—I’m talking Jay-Z and Beyoncé caliber stars—donate their talents to a project championing feminism, fighting gender essentialism, and telling boys that it’s all right to cry? For that matter, how did it ever get made in 1972? “These stories” were, as Thomas puts it, ones full of “princesses, nurses, moms, stewardesses, and demure goody-goodies.” Where were the books that would make Dionne proud to be a young woman and inspire her to greater heights? The book, by New Yorker cartoonist Whitney Darrow, Jr., was likely intended as satire, but the satire was so dry it was entirely lost on Auntie Marlo. My god, she thought. This is what she’s going to be reading. This is all there is for her to read. What am I going to do? Then she thought: I’ve got to make something that will obliterate this. 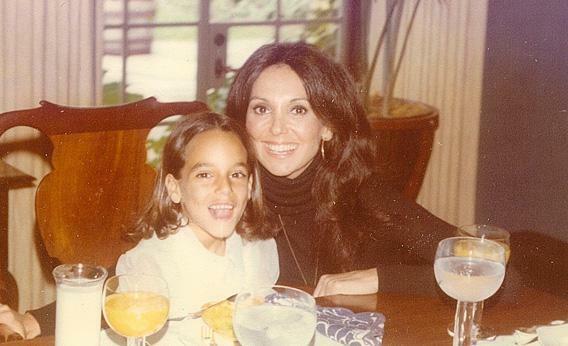 Marlo Thomas, then 34, was taking acting classes with Lee Strasberg in New York and planning her next move. Her TV show, That Girl, had run its course, finishing after five seasons. Thomas’s character, aspiring actress and single girl Anne Marie, had gotten engaged in the final year of the show, but Thomas refused to end the series with a wedding—Thomas was single and proud, and she wanted her character to be as well. She was dating playwright Herb Gardner—she always referred to him in conversation as “Herb-Gardner-my-boyfriend,” spoken as if it was just one word—but was uninterested in getting married. Thomas’ fruitless Martindale’s shopping trip led her to the idea that her next project ought to be a collection of stories for children that avoided sexual stereotypes and promoted gender equality. She could solicit the stories and record herself reading them. It would be just like the records she and her sister had listened to in their rooms as little girls, but liberated, smarter, modern. She just had to find the stories. How to proceed? In early 1972, Thomas met the two women who would make Free To Be a reality. 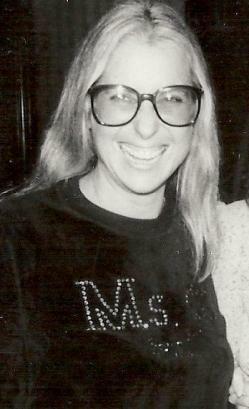 Letty Cottin Pogrebin, once a celebrated book publicist and now an editor at the brand-new magazine Ms., defined the political and social parameters of the project; producer Carole Hart defined the album’s aesthetic. Together the three women spent the spring, summer, and fall of 1972 working furiously to get the record out in time for the holiday season. The impromptu masterpiece they created was the product of Pogrebin’s commitment to feminism, Hart’s organizational and production skills, and Thomas’ unstoppable ambition. Without any one of them, the project would likely have never happened at all. 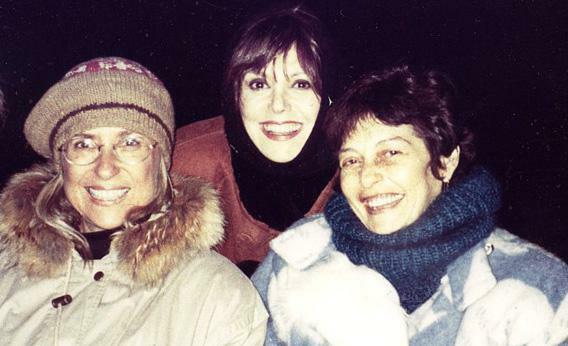 “I introduced Marlo to Letty,” Gloria Steinem says. 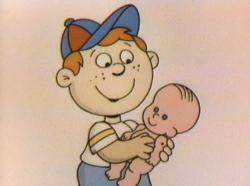 “That was like introducing Chase to Sanborn. That’s a very old reference, there must be some other reference.” Thomas and Pogrebin met for lunch at the Ginger Man restaurant on Manhattan’s Upper West Side. Ms. magazine’s first issue had just come out, featuring Pogrebin’s essay “Down With Sexist Upbringing.” Inspired by her meeting with Thomas, Pogrebin went searching for stories hot and sassy enough for the TV star. It was a role to which she was well-suited: The only woman on the Ms. editorial team with school-aged children, Pogrebin had taken on the de facto position of family expert. And Pogrebin didn’t just aim the magazine at mothers; she wanted it to speak directly to kids. “You had to be under a rock to not realize that teaching had to start way back,” she says. “You want to start when you can influence them young.” Around the time she met with Thomas, Pogrebin was already developing “Stories for Free Children,” a monthly pull-out featuring a nonsexist children’s story, most of them written specifically for the magazine because the children’s book market was so barren. Meanwhile, Thomas told her agent at William Morris that her nascent children’s album needed a producer, and the producer needed to be a woman. 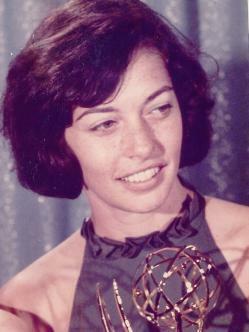 In the music department, a junior agent named Scott Shukat recommended Carole Hart, a 28-year-old who’d just won an Emmy for co-writing the inaugural season of Sesame Street. But how? How could they pull together original stories, saleable stars, and ideological rigor to make an album that would teach children a revolutionary way of thinking without them even knowing it? And how could they get parents to buy it? Letty Cottin Pogrebin knew feminism. Carole Hart knew songwriters. And Marlo Thomas knew everybody. Next: How the album was made. Plus: Did the album change anything?